As much as I love the holiday season, I’m not a fan of packed schedules and the chaos the season can often bring. It’s one of the reasons that I try to keep myself as organized as possible and start working on my lists as early as possible. Instead of waiting until my schedule is full, I start tackling my to-do lists now. For example, I started shopping for gifts well before the holiday season kicked off. Not only do I save time, I also save money because I’m doing any impulse buying. I also like to create a schedule of the activities and gatherings we plan to attend. This allows me to keep our schedule balanced so our family is not overbooked and we can enjoy the holiday season. 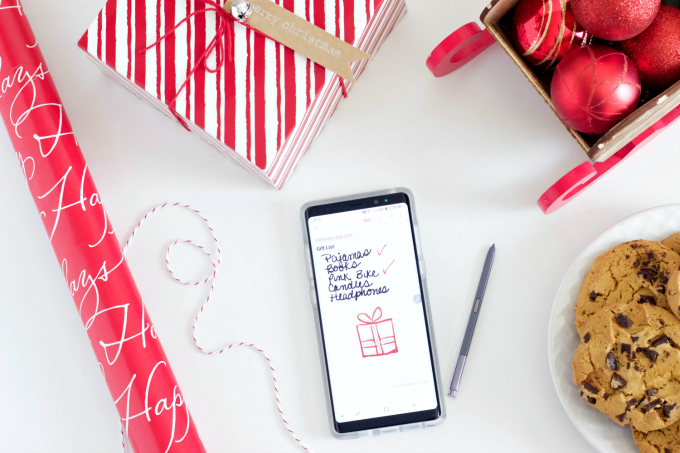 Today I’m sharing how I’m keeping it together during this busy holiday season with the help of my mobile phone. Create a list for each area that will need your attention. For example, I created a list of gifts I still need to purchase, household chores, and food for holiday gatherings. Creating my lists enables me to keep track of what still needs to be done and helps me prioritize my time. I love that my new Samsung Galaxy Note8 allows me to create my to-do lists using the Notes feature. It also comes with an S-Pen, which I use to write up my lists and say things my way. I keep my lists under one main category so it’s all in one place which makes it easier for me to stay organized. I can also share my lists via text or email. 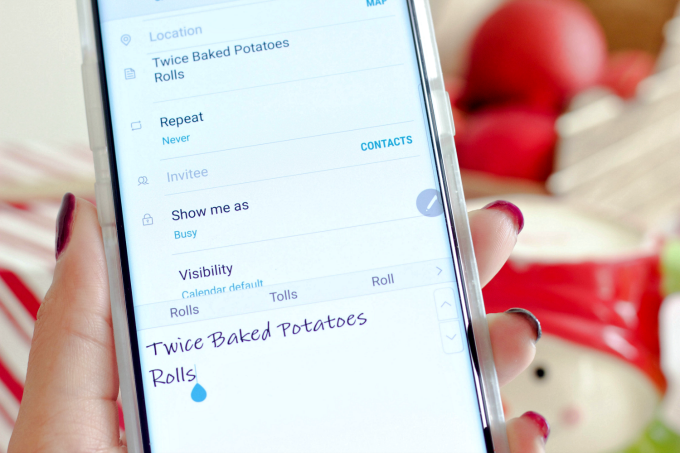 If I know my husband will be at the grocery store I can quickly send him my grocery list with the touch of a button. Gone are the days of hauling a bulky planner around. My purse is typically packed with snacks, tissues and random toys my daughter shoves in there, so a planner is not an option. Having a mobile phone that enables me to stay on top of things while on the go is a must. As a business owner, it’s important that I have access to my email and calendar at all times. My Samsung Galaxy Note8 enables me to share my schedule with my family when needed. If my son has an appointment, I can easily share my calendar with my husband to keep him in the loop or let him know if I need him to grab a few items for dinner. I’m also super slow at texting and would often get back to clients with an email or a phone call. Now I can use the S-Pen on my Samsung Galaxy Note8 to quickly reply to time-sensitive messages with a handwritten note. I call that a win-win. If we’re not careful, the busy holiday season can take a toll on our bodies. Make time to create new memories with your loved ones and connect with friends. Even taking a break to treat yourself to a spa day or to visit your favorite coffee shop can instantly boost your mood. I like to treat myself to a cup of my favorite seasonal coffee and listen to music. I also like to capture the season with my camera so I can reminisce about our family’s special moments and share it with loved ones. 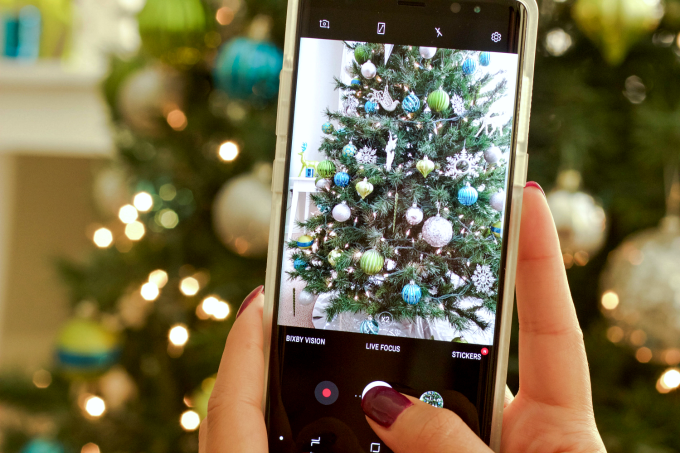 I love that the Samsung Galaxy Note8 has Dual Camera with Live Focus and 4K video which allows me to capture my favorite holiday memories without sacrificing quality. Plus the light dual pixel camera doesn’t let the dark stop me and I’m able to whip out my camera regardless of the lighting. 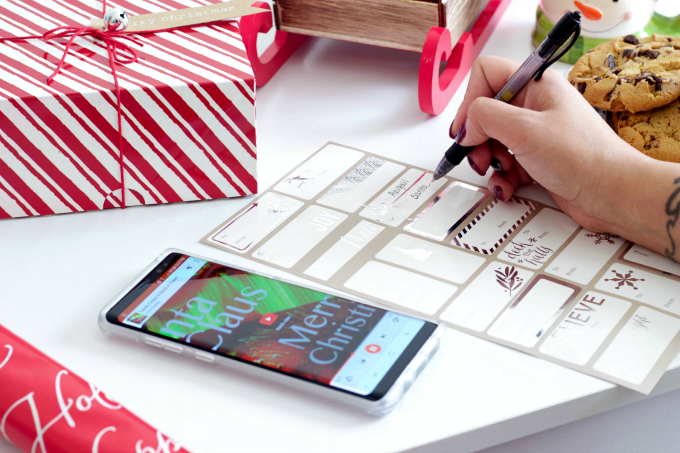 This innovative smartphone enables me to do bigger things and keep it together during the busiest time of year. 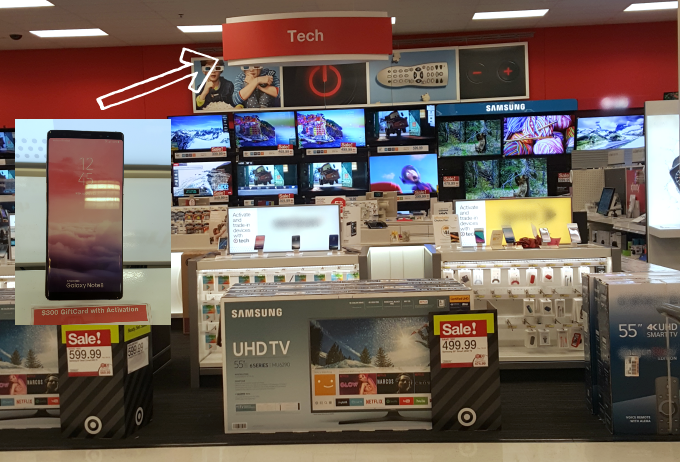 I purchased my Samsung Galaxy Note8 at Target in the Tech kiosk. 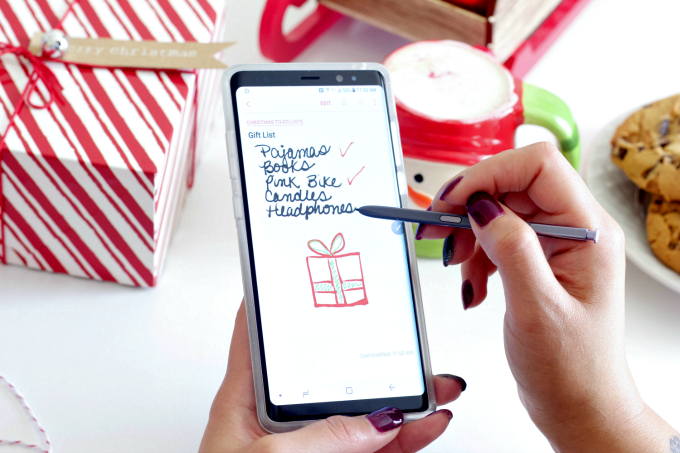 For a limited time only, you can receive a $300 Target GiftCard™ with Purchase and Activation of the Samsung Galaxy Note 8, Galaxy S8 or Galaxy S8+ in-store at Target! Valid 12/3/17-12/9/17 only. How do you stay organized during the holiday season? I’d love to hear your tips and tricks! Enter below for a chance to win a Samsung Galaxy Note8 prize pack or one of many $275 gift card prizes!